The African Nations Cup finals are set to be expanded to 24 teams and moved to dates in June and July but will continue to be held every two years after recommendations on the tournament at a symposium in Morocco on Wednesday (July 19). The decision must still be ratified by the Confederation of African Football’s executive committee, but that could come as early as Thursday when they meet in Rabat. The timing of the Nations Cup finals has been contentious as it has been played in January, in the middle of the league season in Europe. The majority of Nations Cup players come from European clubs and increasingly found themselves drawn into a club versus country tug-of-war. 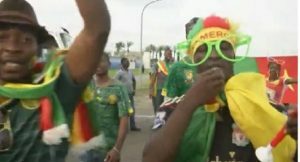 The increase in teams follows the expansion of the European Championship last year, which African observers said had been a success.